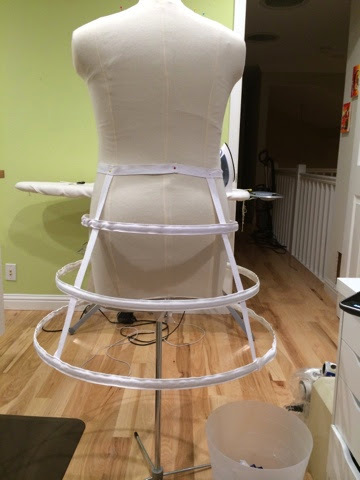 The update: I'm in full sewing swing, hoping to get the bulk items done by the end of the weekend so that I can focus on all of the detail work - Basically I want to have clothes to wear. All of the jibber-jabber can come after. Hey look! 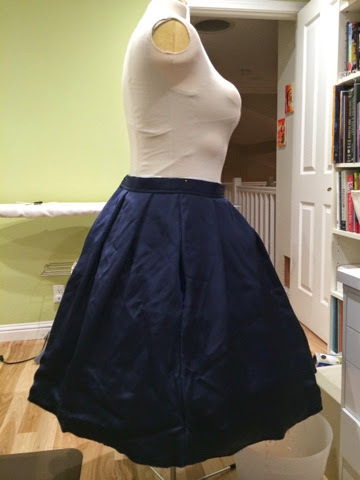 I have an un-hemmed skirt to show you (yay pictures!) but it proves I made a skirt with some of the most slip-slidey fabric ever! I also made the cage under it!